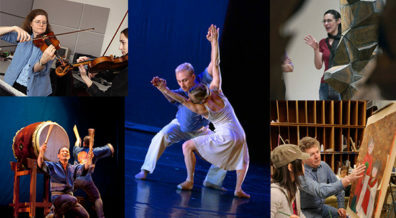 Our vision is a dynamic arts program in the vanguard of integrated research and outreach, where the arts work as a fundamental aspect of a transformative learning environment, and provide tangible examples of creativity, innovation, collaboration, and inclusiveness, advancing WSU toward its full potential. The Advisory Committee on Organization of the Arts will collect information to provide the provost with a report on the status of the arts at WSU and propose recommendations on its composition and activities that support and elevate the university’s Drive to 25 initiative and modern land grant mission. Formed by Provost Bernardo in April 2017, the Advisory Committee on Organization of the Arts is tasked with evaluating the current status of the arts in academic and non-academic units as well as proposing opportunities for enhanced coordination, expansion, and impact. In February 2018, the committee will submit a final report to the provost’s office, which will include a proposal for more coordinated activities among the applied, fine, performing, and visual arts at WSU.